The first day of the Round of 16 is coming to an end with the matches PAS Giannina – Panathinaikos and Chania – Olympiacos. In this stage, only Asteras Tripolis has earned the right to feel safe after their 0-3 win over Larissa. All the other pairs are still open despite the “relative” advantage of the winners. I believe you will agree with me that PAOK was the most unexpected result of all. Not only they lost from Kalloni (2-1) but they managed to concede two goals from the worst team in Super League. And all that when they have the second most expensive roster after Olympiacos. Anyway. Let’s see what we have for today. PAS Giannina became the first team to stop the undefeated away streak of Veria last Saturday (2-0) although their win was not as easy as the final score shows. The players of Petrakis got an early lead (10’, Manias) but their opponent added pressure (total attempts 11-13) for an equalizer that never came. Things became easier at 82’ when Giannoulis received a second yellow and two minutes later Tzimopoulos scored the second goal to secure the win. Coach Petrakis is pleased to see his team undefeated in the last four matches in all competitions (3W-1D-0L). According to some recent news, the last training of the team was very interesting with the experienced coach shouting in his players “we play for death” (an expression to point out he wanted to see them fighting). There are three absences reported. Panathinaikos showed a winning attitude in the last home match against Panetolikos (4-2) last Monday. Their opponent scored first (2’) but the Greens responded with two goals (6’ and 11’) to take the lead. The overall defensive behavior of Panathinaikos was poor in the first half. Panetolikos came close to take the lead again while the score was at 1-1 (bar at 8’) and they scored the equalizer at 16’. The remaining two goals were scored during the second half (51’ and 92’) offering Stramaccioni a stressful win. The officials have been very busy this week with the winter transfers but only one of them (Boumale) is expected to be in the roster today. I spent a lot of time thinking of what to do in this match. 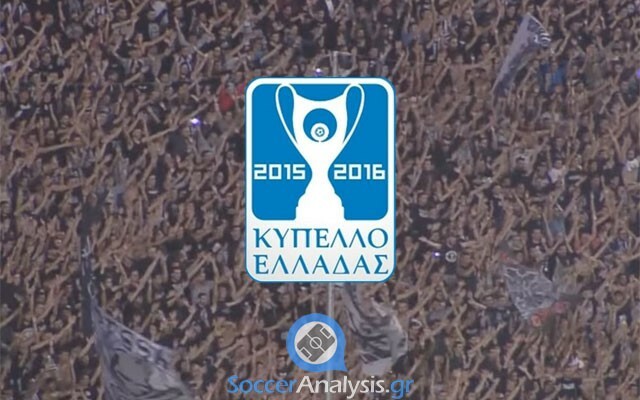 The Cup is all Panathinaikos has left this season but Giannina is a dangerous opponent to face when they play at Zossimades. They also have a tendency to perform very well there when they face strong clubs. Both teams look motivated for their own reasons and this is why I believe they will look for a goal; especially when there is a rematch ahead. Just keep in mind that coach Silva is fond of extreme rotation in the Greek Cup. Olympiacos has only one draw in an official domestic match this season and it was in this tournament, against Platanias (2-2 on 28/10/15) that happens to be in the same area in Crete (lol). Normally Olympiacos can win this match with three goals or more. They look a bit lazy lately and they have conceded some unnecessary goals but who can blame them? Regardless of the probable rotation in the lineup or their occasional laziness, the final score is highly probable to have three goals with or without the help of Chania.